MUSTANGS - Riverside Garage Legends... AND THAT'S FOR SURE! Two minutes and five seconds of tough fuzz, stomp and bad attitude, the Mustangs' 1965 single "That's For Sure" is considered one of the Holy Grails of '60s garage rock. That one, hopelessly rare 45 would be their only release. 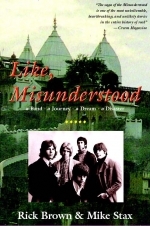 However, in January 1966 the Mustangs went into Locy Sound in Riverside, California, where they recorded 14 more songs, demonstrating not only their dynamism and versatility as a live cover band, but also their remarkable talent for original material, from wailing rockers to haunting Beatlesque ballads. Those tracks are presented here for the first time, along with "That's For Sure" and its grooving instrumental flipside "Nova Blues." 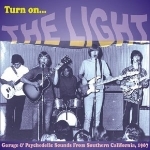 This CD only release includes a full-color 16-page booklet packed with rare photos of the band, plus full liner notes by Mike Stax. 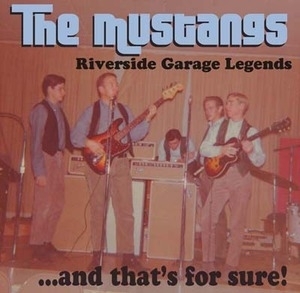 Write a Review of MUSTANGS - Riverside Garage Legends... AND THAT'S FOR SURE!